The end of communism and breakup of the Soviet Union was a time of euphoria around the world, but Russia today is violently anti-American and dangerously nationalistic. So how did we go from the promise of those days to the autocratic police state of Putin's new Russia? The Invention of Russia reaches back to the darkest days of the cold war to tell the story of the fight for the soul of a nation. With the deep insight only possible of a native son, Arkady Ostrovsky introduces us to the propagandists, oligarchs, and fixers who have set Russia's course since the collapse of the Soviet Union. The Soviet Union yoked together dreamers and strongmen-those who believed in an egalitarian ideal and those who pushed for an even more powerful state. The new Russia is a cynical operation, where perpetual fear and war are fueled by a web of lies. Twenty-five years after the Soviet flag came down over the Kremlin, Russia and America are again heading toward a confrontation, but this course was far from inevitable. 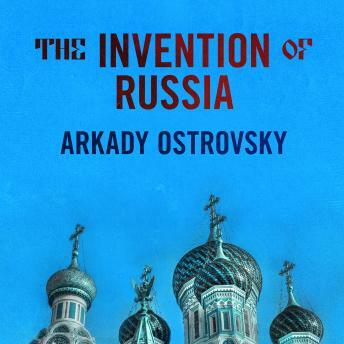 With this riveting account of how we got here-of the many mistakes and false promises-Ostrovsky emerges as Russia's most gifted chronicler.